Most binary options traders fall into one of two camps when it comes to trading oil contracts. The first camp is made up of folks who are hesitant to dip their toes in the water. Some of them realize they lack the expertise of professional traders, and thus are likely to make costly mistakes. Other folks in this camp are intimidated by the volatile nature of crude oil prices. They watch the prices move up and down and don’t understand the factors behind them. So, they sit on the sidelines. Although there seems to be an enormous gap separating the two camps, they’re closer than you might think, especially if you’re in the first camp. The fact is, with a little education and a bit of experience under your belt, you can learn to trade this asset profitably. 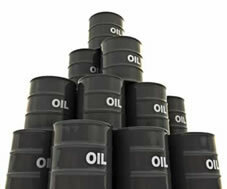 We’ll get you up to speed on trading oil binary options below. The trader must predict which outcome will occur. Each binary option has a predefined rate of return the trader will receive if the contract expires in the money. If it expires out of the money, the trader’s investment is lost. There’s no ambiguity about the magnitude of the return or loss. Everything is known upfront. That’s one of the benefits of trading binary options. Now, consider oil (crude oil, specifically). It’s like any other commodity, such as gold or sugar. It is a physical asset to which a price is attached. And like other commodities, it is traded vigorously throughout the day with several factors buffeting its price. If you’re a professional trader moving huge sums of money through a complex portfolio of oil futures contracts, then yes… it pays to know exactly what you’re doing. But trading oil with binary options is much simpler. Not only can you get started with very little capital – you can trade as little as $20 – but you’ll know in advance how much you stand to win or lose. It’s a matter of selecting oil as the asset, choosing an expiration for the trade, and predicting an outcome. Once you’ve executed the trade, you’ll know within minutes whether you’ve won or lost. Now that you know how easy it is to trade oil binary options, let’s talk about the factors that influence crude oil prices. What Factors Influence The Price Of Crude Oil? We’ll start with supply and demand. The supply of oil is driven by two groups of producers: countries that are part of OPEC (Organization of the Petroleum Exporting Countries) and countries that are not. The former group controls approximately 40 percent of the supply and actively changes production according to demand. The latter group controls 60 percent of the supply and usually works at full capacity. As a general rule, the higher the production, the lower the price of crude. Demand is also driven by two groups: countries that are part of OECD (Organization of Economic Cooperation and Development) and those that are not. The former group consumes approximately 53 percent of the world’s supply. The latter group consumes the rest. Greater demand tends to push prices higher, and the growth in demand from a country is usually a result of economic growth. Another factor that affects crude oil prices – both current prices and future prices – is inventory. Think of inventory as the amount of oil on hand to satisfy demand (that’s a gross oversimplification, but will suffice). If inventories dwindle and the market signals an increase in future consumption, you can expect the price of crude to rise. The opposite scenario – large inventories and dwindling future demand – leads to a price decline. Trading activity in the oil futures market also influences crude oil prices. This activity is driven by numerous participants. For example, hedge funds trade futures to hedge their bets and leverage long returns; airlines trade futures to normalize the price they’ll pay for fuel down the road; oil producers trade futures to nail down future prices in the present. So, where can you get your hands on all these data? The best place to get them is on the U.S. Energy Information (EIA) website at http://www.eia.gov/finance/markets/. Some of it is updated monthly, and some of it is updated quarterly. Going through the EIA data is no picnic. It takes time and patience. While getting acquainted with the numbers, it’s a good idea to learn how to identify support and resistance levels in oil prices. Support and resistance levels signal potential break out points for asset prices. If you trade binary options, you should know how to identify these levels on the price charts for the underlying assets. It doesn’t matter if you’re into contracts on crude oil, the DJIA, or Facebook stock. A support level is the price below which an asset is unlikely to fall. It can signal an opportune time to buy a call binary option on the underlying asset. For example, suppose the price of crude oil has fallen from a recent high and approached its first support level. Savvy traders may buy call binary options under the assumption that the price of oil will turn around and begin to climb. A resistance level works in the opposite manner. It is the price above which an asset is unlikely to rise. Here, if the price of crude has risen sharply from a recent low and approached its first resistance level, an experienced trader might purchase put binary options. There are a lot of different strategies binary options traders use involving support and resistance levels. Some work better than others, and some work better for select assets. The important thing is to develop a reliable strategy that performs consistently well when you trade oil contracts. Keep testing it to validate its effectiveness. Then, stick to it stubbornly. To repeat, the above is merely a primer. It’s to help you become more comfortable with the idea of trading oil contracts using binary options. There’s clearly no way to cover every aspect of this topic on a single page and expect to do it justice. We’ll return to it with examples and strategies for making profitable trades in the near future. Step 1: If you haven’t already done so, register accounts at 24Option and TradeRush. Step 2: Read our tutorials on price action and candlestick chart patterns. It’s also a good idea to check out our guide on bankroll management. Remember, it’s easy to get started with binary options. You don’t need a master’s degree in options trading to do well. The key is being able to perform basic analysis – we’ll teach you how on this site – and taking action. The good news is, you’re in control of both.